Interests - Issy loves all Disney Princesses and fairies, especially Sleeping Beauty, Cinderella and Snow White. She really enjoys making Lego, especially Lego Friends and Lego Juniors. She also likes Paw Patrol, Superhero Girls, Sylvanian families, Trolls, Nom Noms, Shopkins, Peppa Pig and miraculous ladybug and cat noir. Issy really enjoys crafts and anything glittery. She also loves reading and books. Her hair is growing back so she now loves hair slides and accessories as well as make up and anything to do with nails! She also loves the cinema and bowling. Issy has just started Rainbows and really enjoys going. Able to read? - She is learning to read. Finn is obsessed with Star Wars (especially Darth Vader) and Lego, especially Lego Star Wars. Finn loves books and reading and anything to do with Harry Potter. He also likes castles and castle figures (knights, dragons etc), Ninjago and Paw Patrol. Finn loves board games, bowling, and the cinema. He is really interested in science ( especially experiments) and space. He goes to Beavers and has been going for a year and a half. 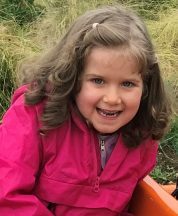 In September 2015 Issy was sent to the hospital by her GP with a suspected chest infection. The next morning her parents were told that there was a 50% chance it was leukaemia and the diagnosis was confirmed two days later. The diagnosis was obviously devastating and came as a complete shock. She had been well until a few days before her hospital admission, apart from complaining of intermittent pain in her leg and stomach. The first two months of treatment were the worst and Issy completely stopped walking for seven weeks. She is still not fully mobile, but is now walking and has recently started to try and dance again. Issy is nearly five months into treatment and so far she has had to endure 12 general anaesthetics and numerous hospital admissions. She has lost all of her hair from the different types of daily and weekly chemo she has to have. Despite all of this she is still a cheerful little girl, with a great sense of humour when she is well. Her six year old brother has also been greatly affected by this, as he doesn’t get as much attention as he used to. Issy is responding well to treatment so far. 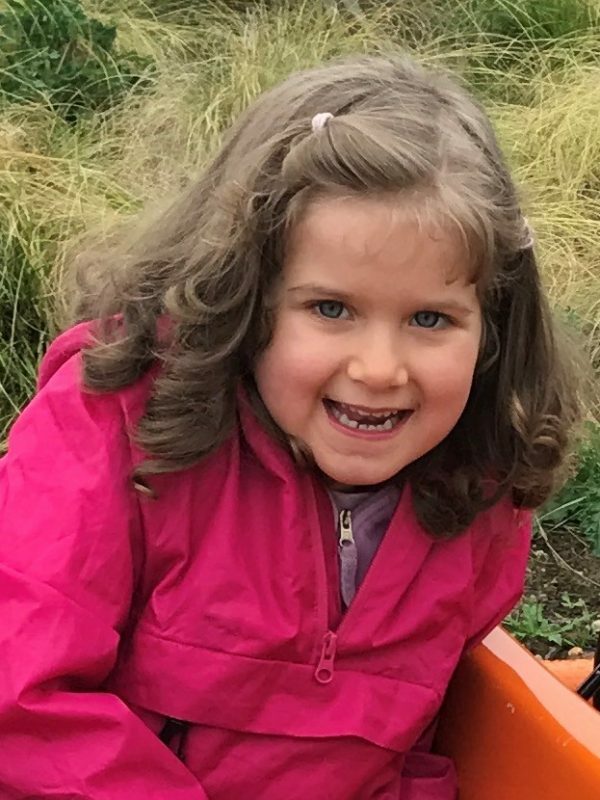 She is currently on her most intense stage of treatment and hopes to go to nursery some afternoons, when she moves on to the maintenance stage. Issy received her last chemo in November and had her line out and rang her end of treatment bell in December. She is now officially considered in remission which is amazing news. She is still receiving physio for nerve damage in her legs and feet and monthly blood tests with consultants and is doing well. We are hopeful that this is the end of treatment for her. The time has come for Issy and Finn to move on from Post Pals. We can never thank you all enough for everything over the last 18 months. All of the post that Finn and Issy received made such a difference to them and to us all as a family. You cheered us up and stopped us feeling alone, especially during long hospital stays and times of isolation. The kindness and thoughtfulness of everyone has never stopped astounding us. Issy and Finn have received letters and cards from all over the world and some beautiful handmade gifts and truly generous presents. We even heard from someone whose child had had the same leukaemia as Issy and had been in remission for over five years which was so lovely to hear and gave us such hope. Post Pals is such a wonderful charity and you are all inspirational 😊 We will be sending our own post as we know what a difference it makes. Thanks again. Issy was hospitalised again in July for 3 days with a chest infection, but we managed to avoid a hospital stay for the whole of August, so we were able to have a lovely holiday by the coast for a week, which was great! Issy has been referred back to physiotherapy due to some weakness in her legs, so we are hoping that we can get them a bit stronger. She has struggled with them ever since the beginning when she stopped walking, but they don’t seem to be improving without help, so hopefully some physio will work. Issy has been coping quite well with the chemotherapy, but is still really struggling with the steroids and finds it very hard to sleep when she takes them. Finn seems happier at school so far this year, so fingers crossed that lasts! Thank you so much for all of the post that Issy and Finn have recieved, it really cheers them up and brings us all a lot of happiness, especially when Issy is in hospital, taking steroids or feeling poorly. Your kindness and thoughtfulness continues to make a big difference in our lives, thank you. Issy eventually returned to school after being off for 3 months, but unfortunately after 3 weeks she caught chickenpox. She was in hospital for 8 days and was very poorly, she also missed a dance show that she had been practising for (when well enough) since Christmas. She still has a chest infection, which 2 lots of antibiotics have failed to clear and is getting tired very easily, but she is back home now and her health is improving. This has all meant that she has missed nearly a month off her chemotherapy, which we are very worried about but the consultants don’t seem overly concerned so hopefully it wont make a difference. A massive, massive thank you to everyone that has sent post to Issy and Finn. You make such a big difference in their lives, especially when Issy was in hospital. 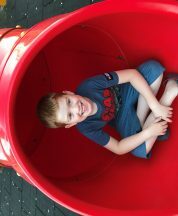 Finn has received more post this month and this has made a big difference to him. He seems a lot happier despite things being the same at school. We really can’t thank you all enough. Issy has been doing well recently, but unfortunately there has been Chicken Pox in her class, meaning that she hasn’t been back to school since Christmas. She has had had to spend the last 10 weeks at home, so she is feeling a bit isolated as she hasn’t had the chance to make friends in her new class yet. Issy is still struggling with the monthly steroids and IV chemo, one of her legs is very weak but we are hoping it improves when she returns to school and is more active again. We can’t wait for warmer weather and for all of the winter bugs to disappear! Issy turns 5 in April so we are hoping to get away to the coast for a few days if she is well enough. Issy’s hair continues to grow and is coming back curly again like it was before. There is a chance that it will fall out again on her current chemo, but so far so good. Finn has been struggling a bit recently, he hasn’t been enjoying school and hasn’t got any close friends, school are trying to support him with a friendship group, so hopefully that works. He still finds the extra attention Issy has to have very hard and hasn’t been his usual smiley self for a while now, he sees Issy being off school as a treat for her, even though she is desperate to go back! Hopefully things will settle down when Chicken Pox disappears and she returns to school. Happy New Year! Thanks so much to everyone who sent post to Issy and Finn over Christmas, they absolutely loved everything that they received and it made it very special. Their Elf parcels and other gifts were incredible and we have been amazed by the generosity, time and effort involved. Thank you so much to everyone. We wanted to reply to everyone who sent post but unfortunately Issy was in hospital for 4 days the week before Christmas and some of the names and addresses were lost in the chaos. So I am so sorry if you didn’t receive a personal reply, but please know that you created big smiles and made our Christmas. I will post some photos on the official Post Pals Facebook group. As mentioned, Issy was admitted to hospital with a chest infection just before Christmas, for four days but we made it home on 23rd December, so managed to have a very special Christmas. Her antibodies were tested and found to be OK, so she just seems to have low immunity a lot and we will continue to have frequent hospital admissions. Issy and Finn went on the Post Pals Chessington Christmas trip which was fantastic, they loved it and still talk about it every day. They were also lucky enough to have a day trip to Lapland which was amazing too. Finn had a lovely birthday. Thank you to anyone who sent cards and gifts. He was supposed to have a little party with a couple of friends, which had to be cancelled when Issy was ill, but we rearranged it for the week after Christmas and he got to see the new Star Wars Film instead, so he still had a great time! We feel so lucky to be part of Post Pals, you all continue to make such a difference in our lives. Thank you, everyone. Issy managed to start school and really loves being able to spend time with friends. She managed 2 and a half weeks before she picked up an infection, so at least she had a chance to settle in. Unfortunately starting school has meant lots of bugs and she has already been hospitalised twice in October with temperatures and a chest infection. Her consultant is now aware that her immunity drops quickly and suddenly when she is ill, which is the reason that she ends up in hospital quite a lot. They are going to have a look at her antibodies to see if she needs more help. She hasn’t been well enough to go to her dance class for the last 5 weeks, so that has upset her. Issy usually likes going into hospital but was very withdrawn during her last 2 visits. She refused to speak to or look at anyone other than her immediate family for both stays. She is also reluctant to talk while on steroids. Issy usually has something contagious when in hospital and we are never usually allowed in the playroom, so she gets very bored. Your post really cheered her up while she was in there, so thank you. Finn is enjoying school, but still finds the extra attention Issy gets difficult, especially when Issy is in hospital. Thanks so much for the post he has received. A big thank you to everyone at Post Pals and to everyone who sends post. It is very difficult for us to get out and do things as we never know how Issy will be. Having post to look forward to, is everything to us all at the minute. Your kindness makes such a big difference in our lives and really helps us to get through everything, we can never thank you enough. Issy continues to do well, apart from when she takes her monthly steroids. She was admitted to hospital for 3 days with an ear and chest infection, as she had very low immunity, but recovered quickly. She is due to start school in September, which she is very excited about, we are hoping that she is able to attend regularly, but she missed a lot of nursery due to very low immunity and infections. Even on maintenance her immunity seems to drop to near zero every 4-6 weeks, which isn’t a big deal in the summer when we don’t see too many people.But in the winter months, in a packed classroom with lots of bugs around, it will be a different story! She continues to be very happy and accepting of the things she can’t do, she doesn’t see herself as any different from other children. Finn has struggled with the extra attention that Issy gets. This last year has been very difficult for him and we are hoping that things are more stable for us all now that Issy is into maintenance treatment and has less frequent hospital admissions. We have just managed to have a lovely break at the seaside which Issy and Finn loved and was just what we all needed. Thank you so much for all of the lovely post we have received, we are truly overwhelmed by your kindness and generosity. Issy and Finn are so excited to open their cards and gifts. They have some mail from lots of different countries which is very exciting and some beautiful cards and letters. Sorry that we don’t get much chance to reply to people, if anyone includes an email address we would love to try and say thank you. They really appreciate everything that has been sent. There are too many to mention, but over the last few months special thanks for Issy’s Frozen watch, Snow White ballerina doll, homemade Snow White skirt and headband, also Finn has been sent some Lego, Star Wars hot wheel cars and also a joke book that he loved. Thank you everyone. Issy is doing well at the moment (apart from breaking her thumb, when her big brother accidentally shut it in the back door). She has managed to go to nursery for a couple of weeks and even go to a few of her ballet classes. Her monthly dosage of steroids affect her quite badly and she becomes very withdrawn for a week when she takes those, but she is coping quite well with her chemo. She is getting stronger but still gets tired easily and has quite a lot of weakness in her legs, which will hopefully improve soon.